The sun was beginning to set in the Pride Lands and all the animals began to return to their homes and herds in order to prepare for the night. At a distant waterhole near the Big Springs pond, the leader of the crocodiles, a young light green croc named Makuu, was just returning from a failed attempt to take control over the savannah's flood plains. All the animals whom they passed by gasped and stood back from them. Sure, crocs were not a species others would not want to trifle with, but the animals who saw them were more surprised by their beaten up bodies as they slowly walked by them and made their way back home. Some of the crocs had large bruises on their heads and backs and one of the crocs was even limping and struggling to keep up with Makuu. Looking back at the members of his float, Makuu just growled in annoyance and embarrassment as he took in their current state. I was a good thing they were all arriving back at their home. Makuu could no longer bare to look at his hurt and humiliated men. "Curse that cub." Makuu grumbled to himself as he slowly slid back into the water, "I'd like to see him take me on without that roar of his. Then we'll see who wins in a fight." Earlier that day, Makuu had learned that the Lion Guard's Fiercest, a lion cub named Kion, was considering never using the Roar of the Elders again. It was a powerful weapon gifted by Great Kings of the Past to only those they deem worth to be the fiercest in all the land. With a singular roar, one could destroy mountains, cause earthquakes, and even leave flourishing forests barren of any life. To hear that the wielder of such a devastating power was considering no longer using it gave Makuu an interesting idea. For many generations the Flood Plains of the Pride Lands served as a neutral traveling grounds for animals during the wet season. With Kion putting restrictions on his power, Makuu and his float of crocs could come in and take the entire flood plains as their new home. Of course there was the other members of the Lion Guard to worry about, but Makuu paid no heed to them. A cheetah, an egret, a hippo, and a honey badger were no match for a full armada of crocs in the water. Everything was going well at first. The crocs captured most of the members of the Lion Guard and even the queen, Nala herself; yet there was one thing Makuu was not counting on. Kion came, and against Makuu's predictions, unleased the Roar of the Elders upon all of his crocodiles. After that, everything fell apart. They were all launched several feet into the air and flown a long ways away from their original home. For a crocodile, a thirty foot fall from the sky was painful enough, but having to walk all the way back home with such severe injuries in the blazing heat was a nightmare in itself. All day Makuu and his followers walked and as evening approached, they had arrived back home in crocodile territory. Now, beaten, hurt, and exhausted; all Makuu wanted to do was rest in the cool calm water and forget about everything that had taken place today. Yet, like usual, the cruel hand of fate was not yet done with this croc. "Makuu. Makuu!" The croc leader let out a low grumble in the water as he heard his name being called. Lazily opening his eyes, he saw a croc with a long slender beak like snout swimming towards him. Though he was a bit disoriented from the exhaustion he felt, Makuu recognized the crocodile instantly. "Kiburi…" Makuu groaned as he lifted his head and addressed the dark green croc. "This had better be good." "It's not good, boss." Kiburi stated with a bit of annoyance in his voice, "King Simba is here." "Simba?" Makuu's eyes shot open when he heard the Lion King's name. "Yeah, he's here." Kiburi affirmed, "He's asking for you, and he doesn't look happy." Makuu let out a long aggravated sigh when he was told this. He may be leader of the crocodiles, but Simba was king of all the animals in the Pride Lands. One word from him and you could easily be exiled… or worse. Knowing that this was now a serious matter, Makuu followed Kiburi as he led Makuu to the other end of the pond. Honestly, nothing would give Makuu more pleasure at this point then to tell Simba to buzz off so that he could go back to sleep, yet in doing so he would probably make things a lot worse for him and his float of crocs. Patients wasn't a strong trait in most crocs, not even Makuu, but right now he had to muster up as much of it as possible for his conversation with the king. Upon reaching the other side, Makuu instantly saw Simba lying on a large bolder near the water's edge, as the other crocodiles remained in the water looking at him with interest. The moment Simba's eyes locked onto Makuu's, he gave Makuu the most sinister snarl the croc had ever seen. This wasn't like Simba at all. Usually the Lion King was composed when talking to himself or other animal leaders. Seeing Simba now looking at him with such rage on his face made Makuu honestly feel, nervous. Upon reaching the shallows, he slowly raised his body out of the water so that he could stand in front of the Lion King. Makuu could feel every bruise, and every sore part of his body flare up as he stood on his legs, but he didn't show it. He didn't show that he was annoyed by the lion's presence, he didn't show that he was terrified by Simba's expression. Instead, he looked up at Simba the way he looked up to all animals in his presence, with a confident crocodile grin and yellow narrow eyes. "Welcome, your majesty." he greeted, "To what do I owe the pleasure of-"
"You know why I'm here, Makuu." Simba cut him off with a growl, "Don't play coy with me." For a moment, Makuu felt his jaw go slack. Even the other crocs had surprised looks on their faces. Did Simba just growl, at him? Makuu quickly composed himself before anyone saw his stutter. Why was Simba so… oh no… That's when Makuu realized that Simba must have heard about what happened. Mentally, Makuu knew he was in trouble, but he dared not show it. "I think you need to be a bit more specific, Simba." Makuu said in a confident manner, keeping his monovalent, dangerous sounding tone in his voice, "My crocs and I have done a lot of things. To which do you prefer to?" There was a moment of silence as the crocs watched what Simba would do. Suddenly, the Lion King did something no one was expecting. He slowly got up off the bolder and hopped down; he then started to slowly walk away from the pond. Everyone was now watching the king curiously. Was it over? Did he just come to tell Makuu that and leave? Then, after about five steps, Simba turned around and sat down. His face was stone cold and his amber eyes were constantly fixed on Makuu, which internally unsettled the croc leader a bit. "Come here, Makuu." Makuu's expression faltered when he heard what Simba just told him. "Excuse me?" was Makuu's reply as he raised an eyebrow towards Simba, but the Lion King's expression only grew sterner. "I said…" Simba gritted though his white teeth, trying his best to remain composed, "Come… here!" At this point Makuu was too annoyed to even consider what was going on. It was one thing to have his rest interrupted by the king, but now Simba was ordering him like a child to come towards him? That was where Makuu drew the line. No one ordered him around. Not anymore! "If there is something you wish to tell me then you can do it over here your highness." Makuu spat, "I will not have you calling me over like I'm some lowly servant. I am the leader of the Crocs!" "Then act like it!" Simba roared back, which caused all of the crocodiles around Makuu to pick their head up in surprise, "Come over here and face me like a leader instead of hiding behind your band of crocs like a coward! Oh I'm sorry. Is that too much to ask? At least your predecessor Pua had thick enough skin to speak to me on matters such as these!" While Simba spoke, Makuu's face slowly contorted into one of anger as he shut his eyes and let out a low growl. He was furious, both at Simba… as well as himself. What Simba just did was a low blow for Makuu's pride as both a leader as well as a crocodile. Comparing him to Pua, the one who used to lead the crocs before Makuu beat him in a fight and took the float for himself, was bad enough. Saying that he was even worse than the retired old croc was a stain on his pride… and made him look weak if he did not respond. If Makuu stayed in water, his float would never give him the same respect he once had. His only option now was to face Simba, but at this point, Makuu really didn't want to be anywhere near him. As he motioned for his crocs to stand aside, Makuu slowly got out of the water and walked towards Simba. Each step he took was agonizing. Besides the intense pain he felt with his injuries, he knew that every step he took was bringing him closer to the one person in the entire Pride Lands who could pass judgment on him. What was worse… was that Makuu new that whatever judgment he would be given, would be well deserved. "Tell me, Makuu." Simba said in a cold tone as he observed the dark purple spots that covered the croc's body, "What happened to you?" Honestly… Makuu really didn't want to answer that, but he knew he had little choice in the matter. "Your boy." Was his reply. "Really now?" Simba questioned skeptically as he began pacing back and forth in front of the croc, noticing as Makuu refused to make eye contact with him, "What reason would Kion possibly have for doing this to you?" "It wasn't just me, your majesty." Makuu interjected, "several of my crocs were hurt due to your son's actions. One of them even suffered a broken-"
"Answer the question!" Simba roared, causing Makuu to wince at the loud, demanding sound of the king's voice, "What reason would my son have to use the Roar on you and your people?" Simba was not messing around, and Makuu knew it. "We…" Makuu slowly began, "Tried to take control of the Flood Plains, your highness." "And…" Makuu continued in a begrudged tone, "we drove off all the animals and fought the Lion Guard." "And?" Makuu quickly caught on. Simba was waiting to hear something specific. A certain detail. "And… we took hostages to try and prevent Kion from stopping us." Upon hearing this, Simba remained silent for a moment. He just narrowed his eyes at the croc, thinking on how to approach this answer. "And that's why my son used the Roar of the Elders on you?" Simba finally asked. "Y-Yes. Yes!" Makuu replied, "That's why. I admit it. I am truly sorry, Simba. It won't happen again." Though Makuu thought it was finally over, he looked up to see Simba was now looking at him with a disappointed expression on his face. "Makuu…" Simba began with a shake of his head as he stepped forward and glared down at the croc and growled, "Do you take me for a fool?" "N-N-No. Of course not!" Makuu found himself stuttering. He could no longer control himself. Never in his life could he imagine Simba, the kind and compassionate king, looking so… terrifying. "You didn't just take some hostages Makuu." Simba growled as he shoved his head in Makuu's face, "You had the audacity to kidnap not only the members of the Lion Guard, but also Nala… my mate… YOUR QUEEN!" As Simba raised his voice, Makuu and even the other crocodiles winced and looked at the king with horrified expressions as he continued. "After both Nala and my son ordered you all to stand down you deliberately dragged her into the water and used her as a shield! Nala! Out of all the animals in the Pride Lands! You have the audacity to threaten the one lioness who went to find help to defeat Scar! The same Nala that found me and brought me back. After which she and I struggled to maintain and grow this kingdom so that everyone, including your crocs, could live here in peace! After everything she's done, after everything we've been through just to keep everyone happy and content, you filthy lizards take her hostage and threaten to harm her in front of my son?! That's why, Makuu, that's why my Kion used the Roar on you and your crocs, but I think being blown away by a roar is too generous for you! I have half a mind to not only banish you to the Outlands, Makuu, but to banish you and your float to Zira's territory! I'm sure she and her pride could use the croc meat!" For once in their lives, the crocs felt fear running through them as Simba's words rang in their heads. This was serious. Not only were the Outlands practically barren, but to be banished to the section where Zira lived was a guaranteed death sentence. The only good thing about it was that the Out Landers wasted no time in making quick clean kills. Makuu may have been the one responsible, but Simba could easily turn around and send everyone who was involved with him. This was bad, but none were more terrified then Makuu. With every word his pride began to break, with every outburst his confidence began to falter. Even if Makuu wasn't beaten up and was at his top form, he wouldn't dare question Simba at this point. The Lion King looked like he was to his breaking point. It wouldn't surprise Makuu if Simba jumped into the water right now and the entire pond evaporated because of the searing rage that was being emitted off of him. What was worse, however, was the concept of his entire float being sent their along with him. Not all of the crocs were a part of what took place. Yet, in the end, as a leader of the crocs, everyone's lives were in Makuu's hands. His fate was the same as the float and his float's fate was the same as his. "Y-Y-You're majesty." Makuu never thought he would ever do it, but for the first time in his life, he began to beg, "Please, forgive us. We were out of line. I'll make sure it won't happen again. Just give us-"
"Another chance? Are you serious Makuu?!" Never in his entire life had he felt such fear as he winced at the fury of Simba's voice, "All this time I've been very lenient towards you all. The last incidents that happened near your territory were understandable, but your outrageous actions at the Flood Plains shows that I should have addressed you all sooner!" There was a moment of silence as Makuu thought about what Simba had just said. He had been monitoring them. Ever since he became the leader of the crocodiles Simba had kept an eye on them. He knew about everything; the takeover of Big Springs, the unprovoked attacks again the Lion Guard, possibly even their secret infiltration into the hippo lanes. There was no telling how much Simba knew, but unless something was done soon, all of the crocodiles would be sent to the Out Lands. Makuu knew this, and he knew he had to do everything in his power to keep that from happening. "Your majesty, please." Makuu said as he stepped towards the king, "I beg you to reconsider. The crocodiles have always had a place in the Circle of Life. To banish us would surly throw things out of balance." Simba remained silent as Makuu continued to try and reason with him, all the while remaining curious as to where the croc leader was going with this. "If this is about Nala and Kion then I take full responsibility for my float's actions. I understand the severity of what happened and I will accept the consequences. Just please… don't do anything to my people." Simba looked down at Makuu as he remained in a bowed position. Then he looked back at the crocodiles in the pond. Some of them seemed worried while others, like Kiburi, gave Simba angry glares. It had barely been a full season since Makuu had been appointed leader of the crocs yet already the float clearly had strong loyalties to him. Despite his rebellious, prideful nature, Makuu did want what was best for his people. The words he just spoke was proof of that. This was a unique situation, and Simba knew the only way to truly test this croc's resolve was to treat him as Pua taught him; with patients. "I don't normally do this," Simba stated as his gaze went back to the croc leader, "But I will be discussing the terms of you punishment in private, Makuu." "What's there to talk about? You're threatening to exile us all!" Simba looked up when he heard the new voice, and saw Kiburi step out of the water and approach him and Makuu with an angry glare. "You think you can just send us away so easily? If so then you'll find that we crocodiles don't back down so easily from a fight." "Is that a threat, Kiburi?" Simba questioned as he stepped towards the confident new speaker. "It's a promise." Kiburi said as he showed his teeth, "You think that you're so tough? You're nothing but a-"
"Enough Kiburi!" Makuu exclaimed as he turned around and faced his second in command, "This is a matter between me and King Simba. Your place is back with the others." There was a moment of silence as both crocs stared each other down. Finally Kiburi said, "Ok then, Makuu. You're the boss," and turned back and returned to his fellow crocs. Upon seeing this, Simba didn't know whether to be impressed, or skeptical about how Makuu handled the situation. Either way, it showed that he had some measure of taking control when need be. Perhaps Pua was right about him, but there was only one way to be sure. "Please forgive Kiburi," Makuu addressed Simba, "He can forget sometimes that I am the one who's in charge around here. So… what is it you needed to tell me?" "Not here." Simba cut him off, "You and I will talk in private, away from your people. It is there that I will decide the fate of both you and the crocodiles." Makuu didn't know what Simba had in store for him and his people, but like it or not, he had to comply. At least his honor as a representative of his people could be salvaged. 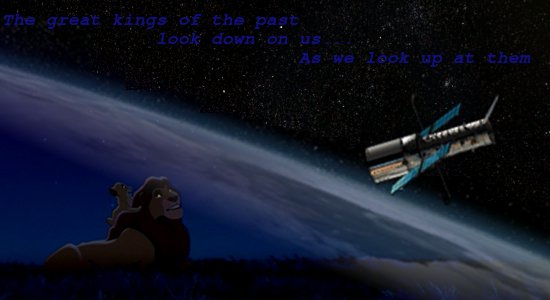 As he looked back once more at his float, Makuu sighed before looked back at the Lion King and said, "Very well then. Lead the way." Everyone watched as Simba and Makuu walked several yards away before stopping under a nearby tree. Simba sat down while Makuu just stood and listened to what the Lion King had to say. Hopefully, Simba would at least find it in his heart to spare his people. "You've made quite the reputation for yourself, Makuu." Simba said bluntly, "Your float respects you yet the animals of the Pride Lands fear you." "I uphold the traditions and statures of the crocodiles, Simba." Makuu simply replied, though there was no pride in his voice, "What the animals view as aggression, my float sees it as a strong leader who wants more for his people." "There are easier ways to earn their respect while keeping respectable relations with everyone else in the Pride Lands," Simba said calmly, "Pua understood this concept, and he hoped you would as well once you took his place as leader." That was the second time Simba had mentioned that name. In all honesty, it had been a while since Makuu even thought about his predecessor. "You know…" Makuu groaned, "I haven't heard you say his name since the day I defeated him in the Mashindano. Is there a reason you are bringing him up now?" "As a matter of fact… there is," said Simba. He spoke in a stern tone, yet it did not have the same anger as earlier, "I don't know why, Makuu, but I always thought you would turn out to be like him, seeing as how he would always talk about you in our meetings together." "What?" This was news to Makuu. Rarely had Pua ever spoke with him, before or even after he took over the crocodiles. "What are you talking about?" "You see, Makuu, Pua and I had a history." Simba explained as he gazed out towards the sun as it slowly set behind the hills, ending once again another day in the Circle of Life, "Back during the early years of my rule, Pua and your crocs traveled a great distance to the Pride Lands in order to reclaim their home that was lost during the rule of Scar. Upon arrival, there was immediately conflict. Their original waterhole had been taken over by some other animals and they refused to return it to the crocs." "I remember that day," stated Makuu, "I was but a youngster at the time, but I remember how we were all wanting to get into the water, but Pua forbade us from doing so until you showed up." "Indeed." Simba smiled for the first time since he had arrived at the crocodile's territory, "By the law of the Pride Lands, Pua had every right to retake his ancestor's home and punish the animals who were foolish enough to withhold it from them." "Yet he didn't," Makuu stated, thinking deeply about the matter, "Which is something I will never understand. He called on you to come and drive out the animals for us crocs. After that, some of us never really looked at Pua the same way again. We viewed his actions, to have another animal help out a crocodile, as weak." "Yet that all changed, didn't it?" Simba questioned. "Ah yes," Makuu remembered, "One of the elder crocs tried to challenge Pua to a Mashindano after that. Pua wiped the floor with him and reminded everyone why he was in charge." "And that's why Pua was such a prominent leader, Makuu." Makuu looked questioningly at Simba, wondering what the Lion King was getting at. One moment he was threatening to exile him and his people, and now he was talking about Pua like nothing was wrong. Now Makuu was wondering why he was even here listening to all of this. What did this all matter now? "What do you mean?" Makuu asked in an impatient manner. Simba looked back once more at Makuu. Both leaders were now in a more stable mindset then before, yet the Lion King had to see if Makuu could catch on to what he was trying to tell him. If not, then there was no hope for the young leader. "By allowing me to step in and deal with the animals," Simba explained, "He showed that even though he was a croc he could be reasoned with. Later on, when he was questioned on his decision to let me handle the problem by one of your own, he showed you and your float why he was your leader and why you should not question his decisions. By doing this, he showed his respectability as a croc as well as a great animal leader." "Hmm…" Makuu closed his eyes as he thought about this. He never did see eye to eye with Pua about several matter during the old croc's rule, yet he always respected his decisions. Never did it jeopardies their float or their territory, and during his rule the animals always seemed to have some measure of respect for both Pua and the crocodiles as a whole. Yet… Makuu thought that was because of their reputation during the early years of his life… back before the crocs returned to the Pride Lands. During that time, there were no rules between crocs and other animals. Whatever the crocs need they took and whoever questioned them ended up being punished. That was how it worked in the wilds beyond the Pride Lands. When they all returned to their original home, many crocs, including Makuu still had that same mindset. Pua, however, acted differently which confused many of the float. Now… after hearing what Simba had to say made Makuu realize why Pua acted the way he did. All this time, Makuu thought Pua to be a weak old croc, yet now… he saw he was a bit wiser then Makuu gave him credit for. Even though the realization of Simba's words sunk into the croc leader's head, he still didn't understand something. If Simba wanted to exile him and his people then he would have done so by now. It seemed obvious the way he spoke earlier that he was serious, yet now he was back to his calm self. No matter how hard Makuu tried he couldn't understand what Simba was doing at this point. "Do you understand what I'm telling you, Makuu?" Simba questioned. "I believe so…" Makuu replied, coming out of his train of thought, "Yet there is still something I don't understand. You said that you wished to discuss my punishment, yet you've only talked about Pua. Why is that?" "Honestly, Makuu," Simba said, though Makuu could tell by his tone that the Lion King was trying to keep his emotions in check, "I really should exile you all for your actions against the Pride Lands. I have every right to do so after what you did to Nala." Makuu bowed his head in shame as he waited for Simba's words of judgement to come, yet it never did. "Yet, for Pua's sake, I will give you one last chance to prove to me that you are capable of leading your float in peace." "Huh?" Makuu's eyes shot open and looked at the Lion King with an astonished expression. Simba wasn't going to punish him? Why? He didn't deserve such kindness and he knew it, but still… "What does that old croc have to do with this?" "Everything." Simba stated simply before rising to his feet and once again looking out at the savannah, "Pua risked his life to bring you and your float back home to the Pride Lands. During the early years of my rule he and I grew close and he helped me in ways I didn't know possible. Now you, his protégé, his successor, are in charge of what he has left behind. So far you have made a mockery of his name by your actions. By exiling you and the crocs, I could be done with the entire issue, yet in doing so, I will also be destroying Pua's legacy… as well as any chance you have for redemption. I now pose this question to you, Makuu: are you willing to take this last chance to redeem yourself in my eyes, as well as in the eyes of the Pride Lands?" Makuu was utterly speechless. What he truly believed to be the end was now a small glimmer of hope for him and his crocs to remain in the Pride Lands. Once again, Simba's kindness knew no bounds, but after hearing everything Simba had said, Makuu knew that he didn't deserve it. He had acted like a rebellious child, and now Simba was treating him as one. Though Makuu was a hardheaded croc, he could at least see clearly enough to know that Simba was offering him a form of mercy that no one truly deserves… not even himself. "Your majesty…" Makuu began, looking away from Simba's eyes, "I don't even know if I can redeem myself after all that has happened. All I ask is that you find someone more appropriate to take my place in the float, for my actions have clearly shown that I am unfit to lead. You are right in wanting me gone, I don't deny it. If it were my mate that had been taken hostage then I would have probably felt the same. If exiling me is what you truly wish, then so be it. I will not question it." In saying that, Makuu waited for Simba to say the word and be done with it. What happened, however, shocked the croc. He felt something soft on his shoulder. As he looked back he saw Simba's paw resting on him, all the while giving Makuu a small smile. "You speak like someone who cares about his people, Makuu. That is a trait that cannot be replaced." Simba said in a compassionate tone, "Yet you misunderstand my intentions. What I truly want from you is not your exile, but for you to fix what you've done. I want you to show me that you can be the leader Pua believed you could be. Can you do that?" Makuu looked up at Simba, dumbfounded by what he just heard. Could he change? Could he do better? It would be difficult. Many of the animals already had a bad view of him and the crocs. Yet… Makuu wasn't one to give up so easily. If Simba believed that he could make a difference then the least he could do was try. He would do this not for his personal gain, but for his honor as a leader, for his float… for Pua. "I'll try, your majesty." Makuu replied, "I won't take this second chance for granted. I'll prove it to you somehow." "That's exactly what I wanted to hear." Simba said in a proud tone, his smile widening from what Makuu said. Maybe Pua was right, maybe Makuu would be just what the float needed. "From now, till the Savannah Summit, I expect to not hear anything about you crocs causing trouble. Is that understood?" "The Savannah Summit?" Makuu repeated in an agitated tone. It was one thing to make sure his boys were behaved, but to actually attend the summit; a meeting with the other animals of the Pride Lands? Makuu… wasn't the type for hanging out around crowds, "You expect me to attend that gathering of snot nose animals?" "Pua did; and you will to if you and the crocs expect to spend the Dry Season on Pride Land's soil." Simba replied. That's right! Makuu forgot about the Dry Season coming up. He hadn't even begun planning on where his crocs were going to stay. He'd been so busy acting like some self-righteous conquer that he had completely forgotten. "Of course if you don't wish to come, then I'll just tell Zazu to take you off-"
"No!" Makuu said sternly before catching himself, "I mean… I'll try, Simba. Not many people trust our kind at this point." "Then this will be the perfect way to show everyone you're serious about ruling the crocs in peace." Simba nodded, "I'll leave the rest up to you." The Lion King then stood to his feet and began walking away, leaving Makuu alone under the acacia tree. Before he left, however, he turned back and said once more to Makuu, "I'm expecting to see a turn around, Makuu. Don't disappoint me." "I won't your majesty! You have my word, this is the last time you will have to come back." Makuu called back. It was interesting, talking about the past… about Pua. It was a strange time during Makuu's youth. Much that happened back then was mysterious to him. Learning now about Pua's intentions and actions was humbling in a way. Yet, bringing up the past reminded Makuu of something else; something that he had wondered for a long time. "Your majesty!" Simba stopped and looked back upon hearing Makuu's voice, "I have something else I wish to ask. It's been on my mind as of late." "And what might that be?" Simba replied. "During my youth," Makuu stated, "When Pua called and you came to his aid, I remember seeing a group of children with you." Simba's expression changed ever so slightly when he heard this detail. He knew what Makuu was talking about as the croc leader continued "It wasn't just that moment. They followed you all around the Pride Lands. Then one day they weren't there anymore. I asked Pua, back when he was ruling over us, what had become of them yet he refused to give me an answer. Even after all these years, their fate still lingers in the back of my mind. Can you at least tell me what became of them?" For a moment, Simba did not look like he knew what to say. He knew what Makuu was talking about and he understood his curiosity. The croc leader was not the first in the Pride Lands to ask him that question, and he most likely wouldn't be the last. "All I can tell you is this, Makuu." Simba said with a sigh, "Some went back to their families, while some went to a place where ones so young should never be. In the end, I know that one day I will see them all again." Makuu gave Simba an odd look. If it wasn't for the mane, Makuu would think that Rafiki the shaman had just answered his question instead of Simba. The answer was just so… vague. "What does that even mean?" Makuu asked in a serious tone. "It means I'm done here, Makuu." Simba stated firmly, hinting in his tone that that he wanted to drop the subject, "I'll be expecting you at the Savannah Summit. Don't be late." Ending with that, Simba walked off into the night, making his way back to Pride Rock. The croc watched as the Lion King slowly walked into the long grass until he was completely out of sight. Makuu was now alone. For better or worse, he and his people had a second chance, and Makuu would not take such a thing lightly. As night fell upon the Pride Lands, Makuu began making his way back towards his pond to tell everyone that everything was alright and that things were going to change. "Makuu!" Kiburi greeted him as he got near the water, "What happened? What did King Simba say?" That was when he noticed the others staring at him with worried expressions. They all were curious how the meeting went, and whether or not they were all still in trouble. "After talking with King Simba," Makuu announced, "I have convinced him to show our float mercy." Upon hearing this, many breathed a sigh of relief, yet Kiburi merely laughed. "Ha! I knew it!" the long snouted croc bellowed, "King Simba is all talk and no action! He's nothing but a-"
"Silence, Kiburi!" Makuu commanded, shutting the croc up, "Simba's visit has made it apparent to me that things need to change around here." "Change?" Kiburi asked, "What do you mean? I don't like the sound of that Makuu." "Meh…" Makuu groaned as he slowly slid back into the cool water, "I'll tell you in the morning. Right now… I'm going to sleep." It wasn't what Kiburi wanted to hear, but judging by the tone of Makuu's voice, he figured it was best not to question him right now, so he let it slide. As the crocs settled in for the night, Simba's words rang over and over again in Makuu's head. All that talk of respect, and honor, and showing of strength through other means really had an impact on him. Maybe… just maybe… he could make it work out between himself and the other animals. He wouldn't know till the Savannah Summit. So, I know nothing about TLG and have never watched, so I have no idea what events or characters in the story are 'canon' and what you're making. But, I enjoyed reading it! After Simba's Pride made Simba such a loser, I'm always a fan of works that demonstrate him being a competent king and good leader, which this did well. I like the way he was forceful, aggressive, but also ultimately willing to listen. I think that whole bit was a good reflection of his character. I enjoyed the way the crocs interacted, as well. Again, no idea which characters are yours and which are official, but their dialogue seemed very natural and each of them had a distinct personality such that I felt like I knew them each as individuals. I agree with Az with his review: While I don't watch The Lion Guard, the little I saw of it has Simba take a back seat a lot in order to give Kion and the Guard things to do. Because of that, it does turn Simba into a bit of a rather laissez faire ruler, to put it nicely, which is rather unexpected for someone like him. So it is indeed good to see a story where he takes on a major, positive, and active role. Also, I gave this story a "shoutout" over on the latest topic for the Writing Contest, since you did ask about being able to submit this story to it. I personally feel like if I had received it on time, it would have easily been voted in as the favorite - not, mind you, that I feel like the other stories were bad, just this one is really good. Plus, with the writing contest as old as it is, it does tend to get the same authors writing for it, so getting new perspectives in is rather refreshing. I feel sorry for those poor outsiders that simba exiled..